On Sunday’s I love to have a bit of a pamper night and a pamper night for me always includes a face mask. 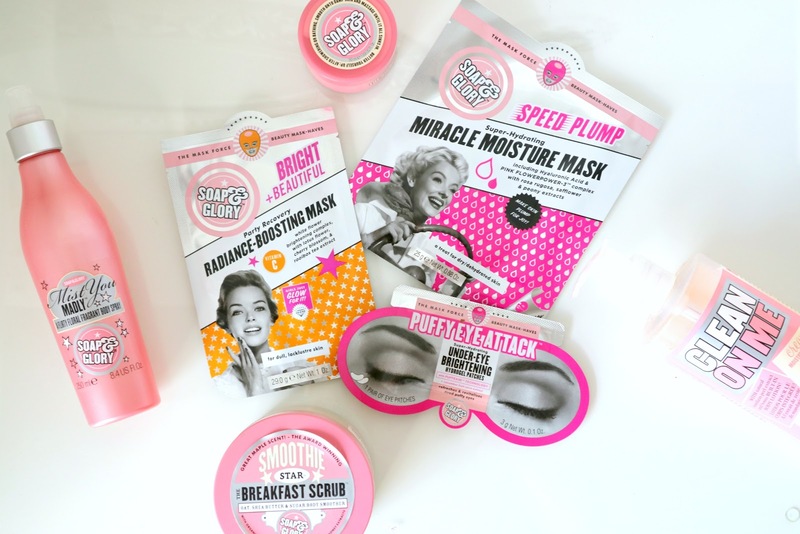 Soap and Glory have always been a go-to bath and beauty range for me, they’re reasonably priced and are great quality products. 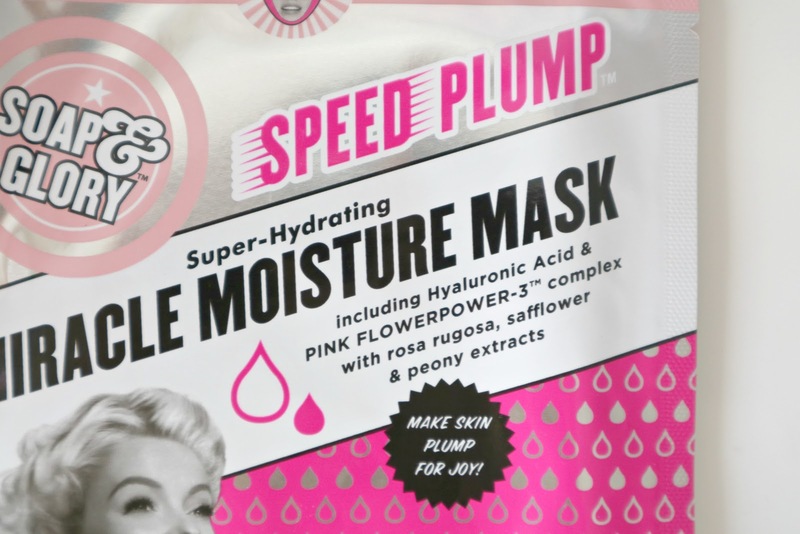 This mask is super hydrating and gentle on the skin. 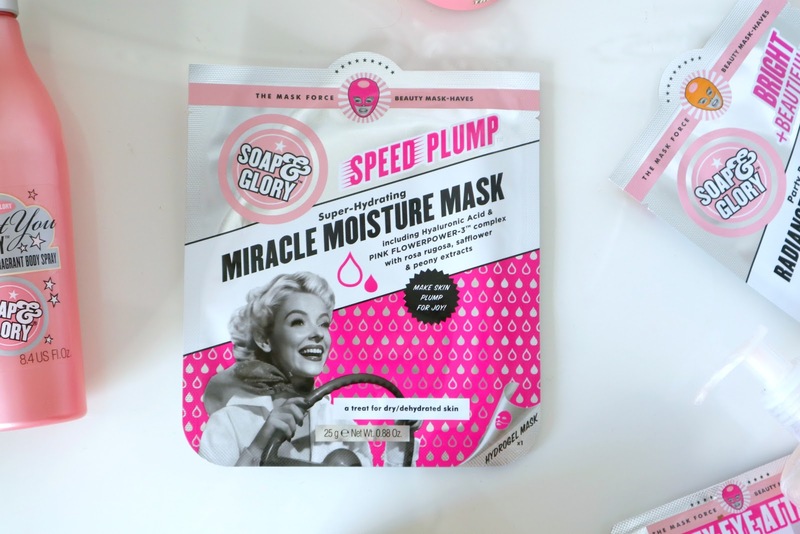 I have used this mask a few times now and it has been great at keeping my skin moisturised over the winter months. It does what it says on the packet. 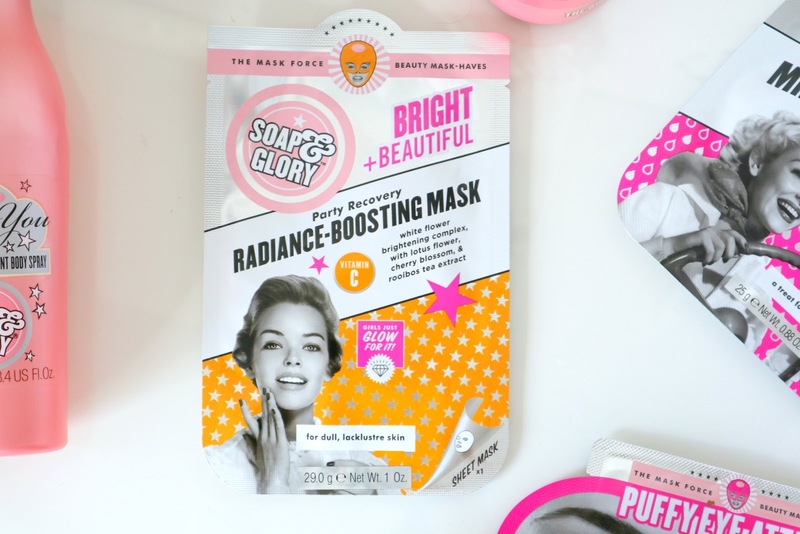 Again, winter can often dull the skin but this radiance boosting vitamin C mask is a perfect pick me up. Lotus flower soothes, firms and tightens. 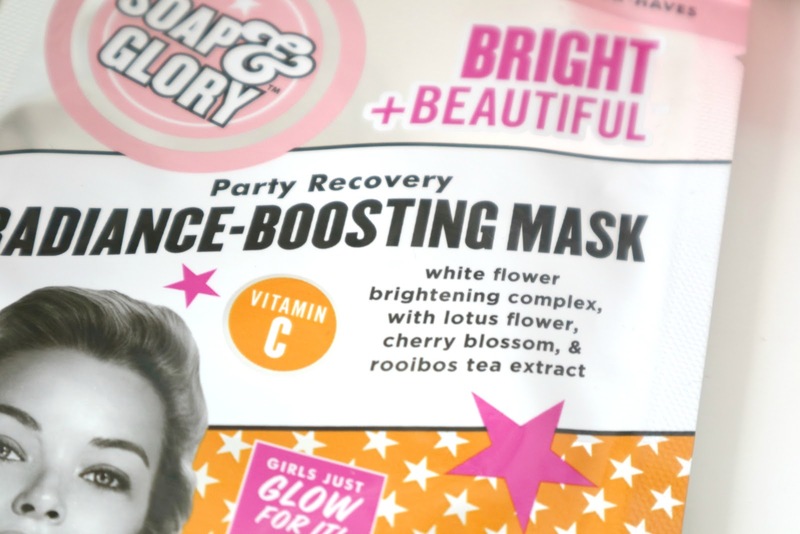 Cherry blossom has rich anti-oxidant levels, and rooibos tea promotes healthy skin. 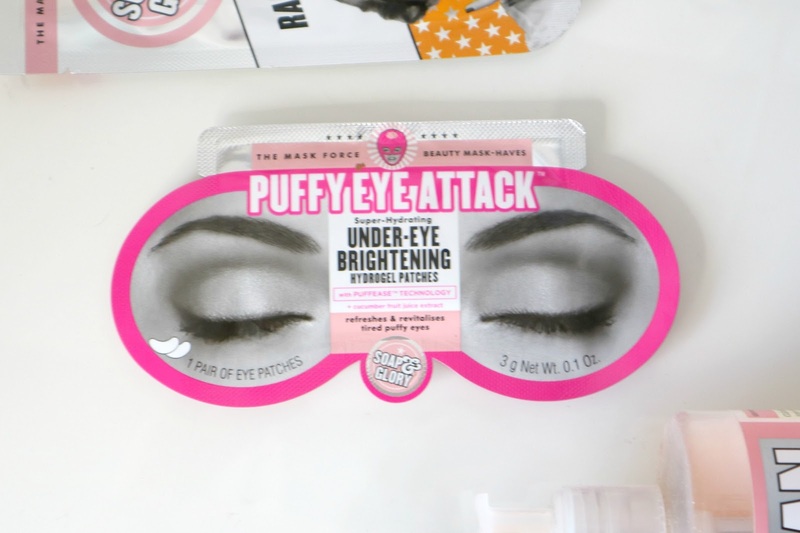 I like to put these under-eye brightening hydrogel patches in the fridge before I go to bed and then use it the following morning when I’m in need of an under eye pick-me-up.